Submit to the Magpie Chapbook! 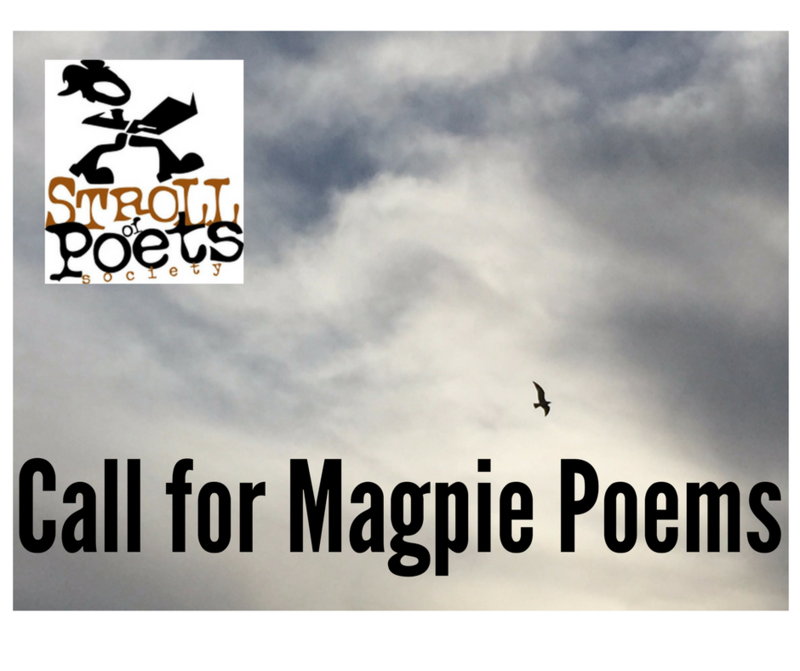 Do you have a poem about or featuring magpies? Magpies are tough, resourceful, beautiful, a bit rough around the edges and a perfect symbol of Edmonton. Markus Eyman and the Stroll of Poets are curating a chapbook of magpie poems. We need about 15 to 20 poems and the chapbooks will be hand sewn. We will also need nimble-fingered volunteers, preferably from among the contributors, to help construct them. Contributors will each receive a free copy but the chapbooks will be a fundraiser for the Stroll of Poets. If you have a poem you wish to submit, please email it, as a word document, to markuse@connect.ab.ca. Deadline to submit is November 30, 2017.